Save time from having to make multiple journeys! 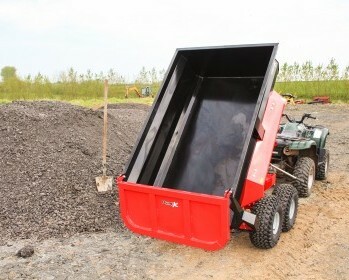 Engineered for strength and durability! 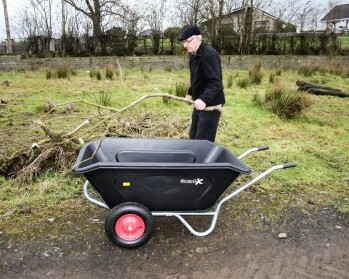 Large Capcity Wheelbarrows with a tipping body for easy removal of contents. 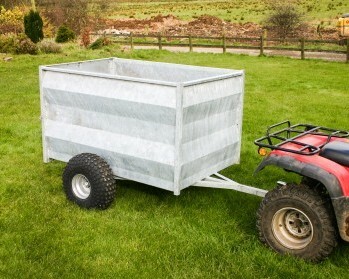 Great general purpose quad trailer with folding sides. 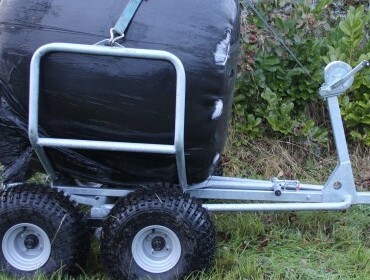 Ideal for carrying sheep. 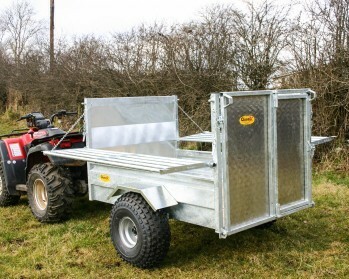 This full sided 5x3'3 quad trailer is ideal for sheep transport. 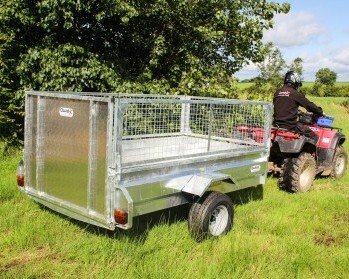 Ideal for transporting to a job and then for pulling it behind! 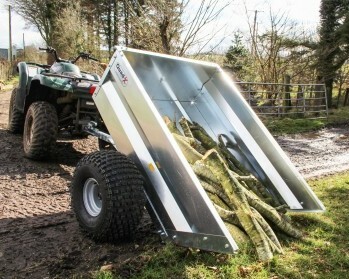 Designed to transport silage, hay, haylage and straw bales with ease! 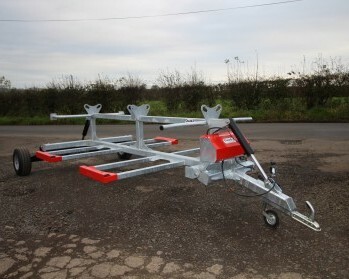 Designed with a mininum weight but maximum strength with mechanical tipping mechanism. 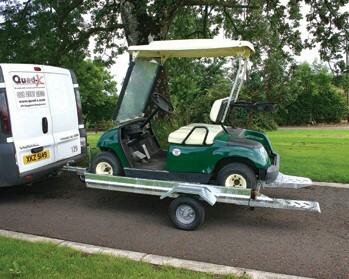 Designed to make loading & off loading of your golf buggy simple, easy & fast!